Glass-fibre-reinforced composite: Ultra-light, robust and resistant to acids, chemical substances and extreme temperatures. Polymer concrete: Dense, suitable for heavy loads and available in many different designs. Conventional concrete: Based on natural materials, particularly sturdy, rugged and durable. Metal: Aesthetically pleasing, timeless, lightweight and versatile. 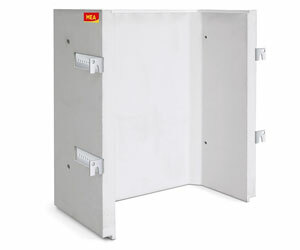 MEA provides a unique array of products and services. Thanks to the Group’s rich technical know-how and multi-material competence, MEA is in a position to supply the right solution for any construction scenario. 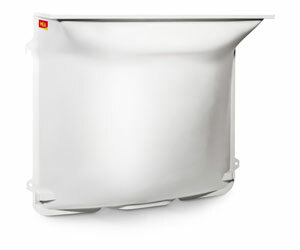 MEA has an extensive selection of concrete or glass-fibre-reinforced light wells, for instance, to meet even the highest building requirements. MEA is one of the world’s leading manufacturers of drainage and rainwater management solutions. This leadership role is the outcome of many years of substantial experience in the field of drainage channels as well as in a MEA Group speciality: multi-material competence. MEA lets you choose between drainage systems made from glass-fibre-reinforced composite, polymer or conventional concrete and steel. Each material is optimally adapted both to the requirements of MEA drainage channels and to a variety of applications. 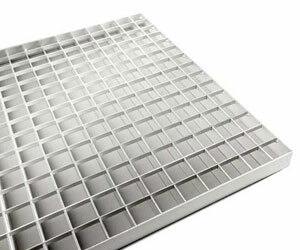 MEA specialises in the manufacture of industrial, standard and special-purpose gratings made from steel, galvanised steel, stainless steel and plastic. 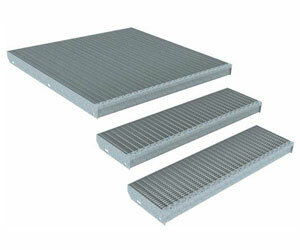 Our gratings are designed to meet the highest requirements in terms of safety, stability and design.